Here is, just about, the easiest felt board that I've ever made. 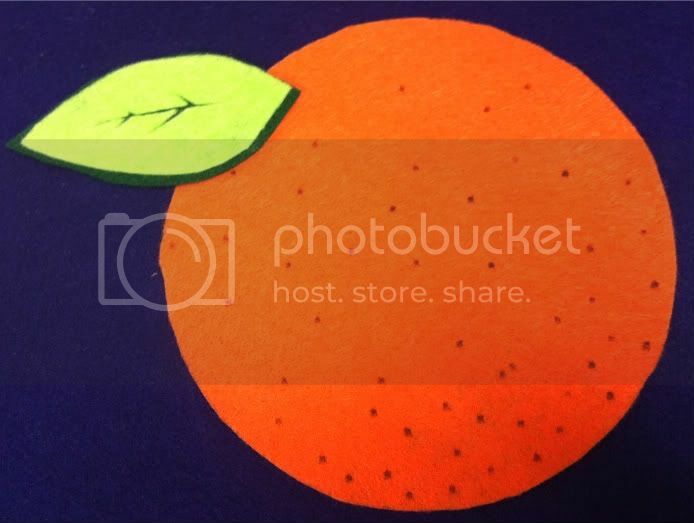 I just traced a circle on orange felt using a large bowl, and drew some dimples with a black marker. I freehanded the leaf. Simple! Here's the song I sang with it. It's to the tune of Three Blind Mice. It's not pink or purple or yellow or gray! It's si-mply not colored that way! I used this for a food-themed storytime, but I'll probably re-use it for a color-themed storytime. Thanks! Sometimes it's the simplest things that really work. Sometimes the simplest things really are the best!